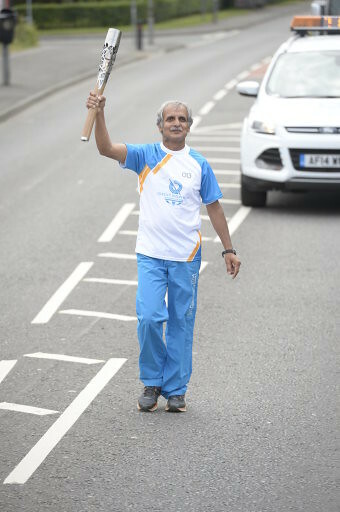 Day 12. 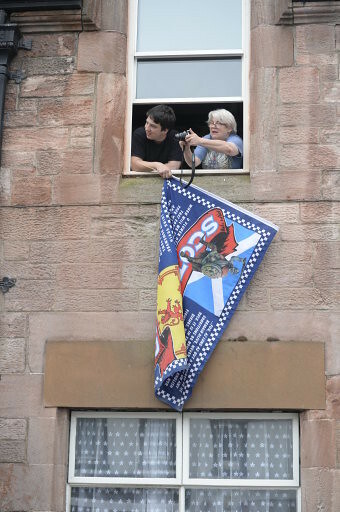 Wednesday 25 June. 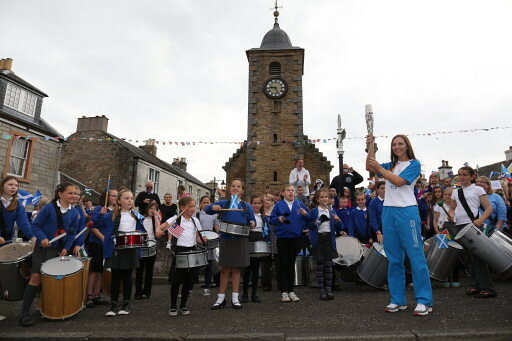 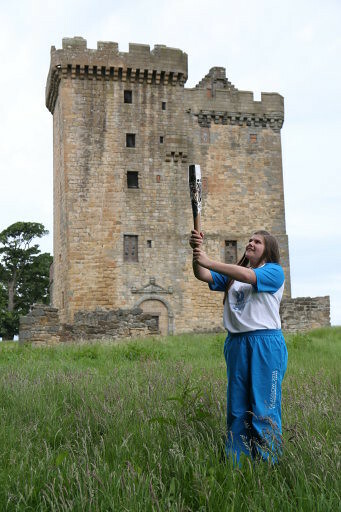 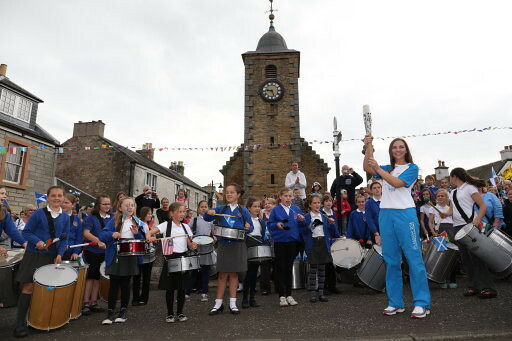 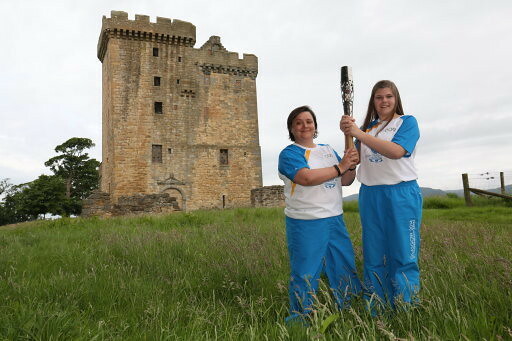 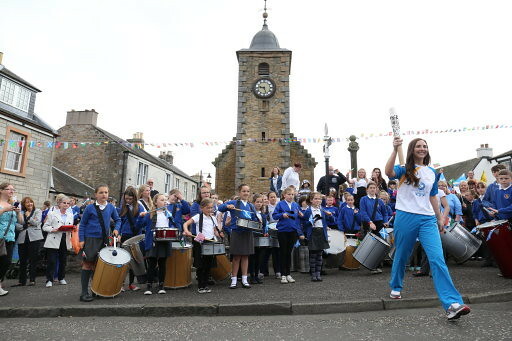 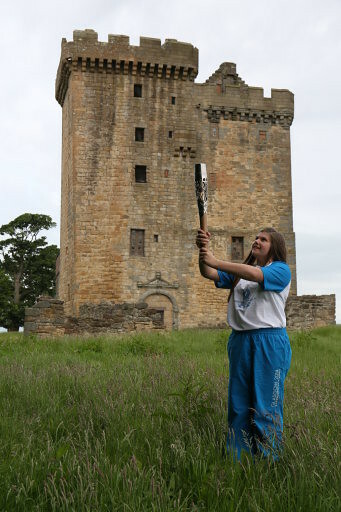 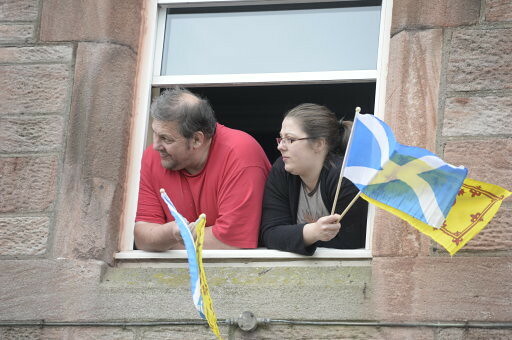 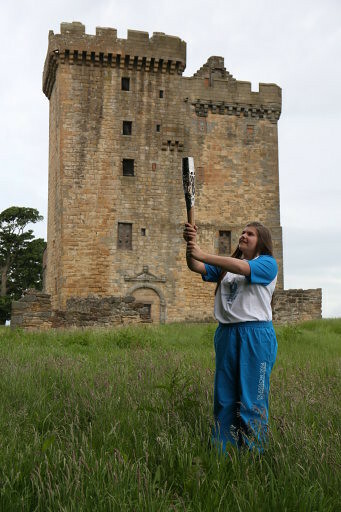 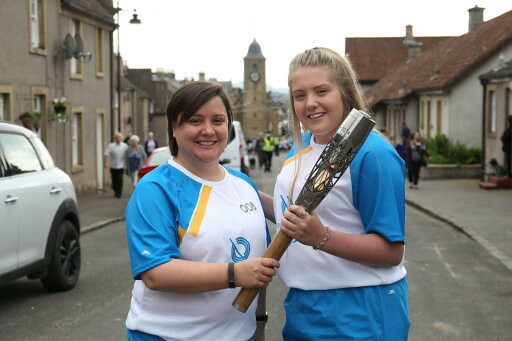 Britain’s smallest historic county, Clackmannanshire, or “The Wee County” as it is locally known, today received its chance to hold the Queen’s Baton Relay as it continues on its tour of Scotland’s town and cities in the countdown to the Glasgow Commonwealth Games. 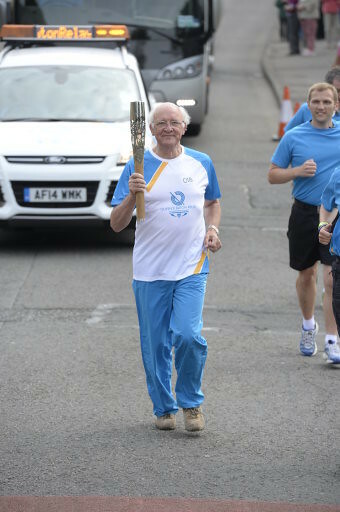 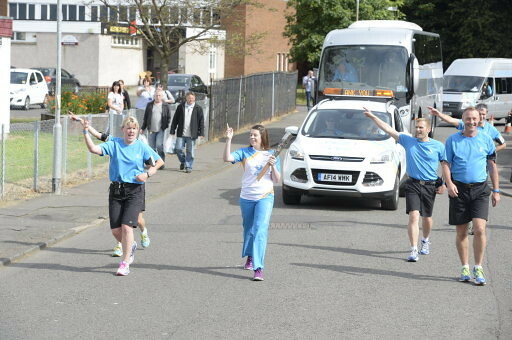 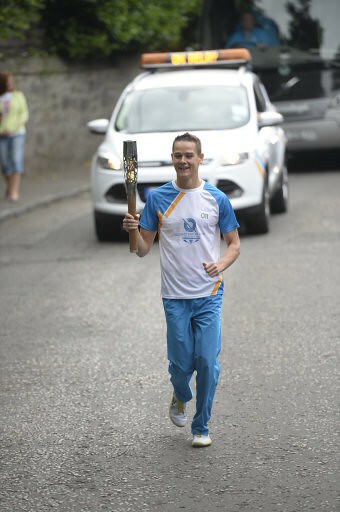 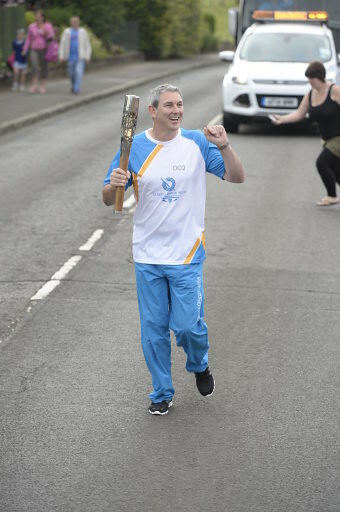 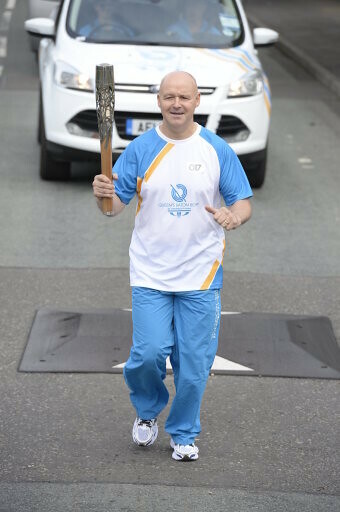 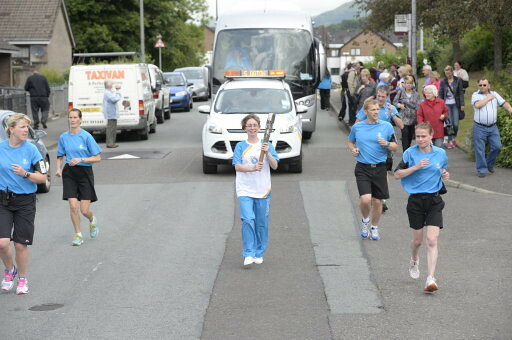 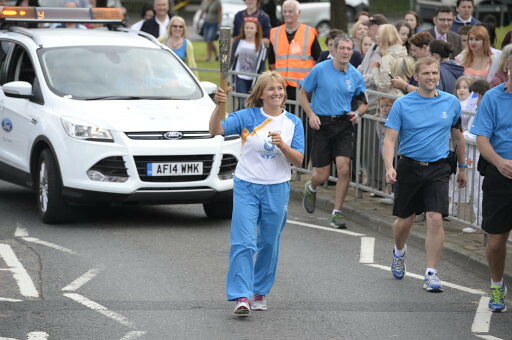 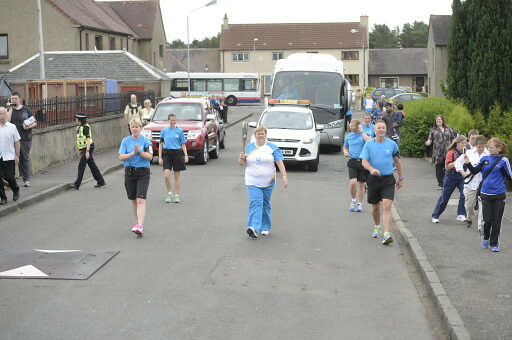 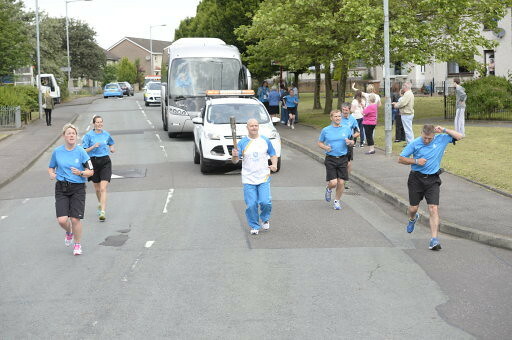 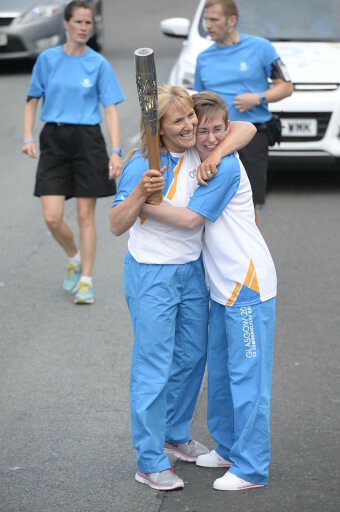 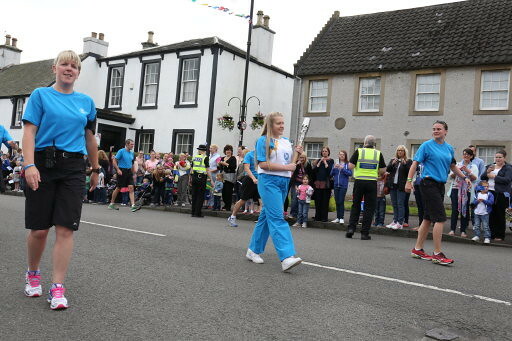 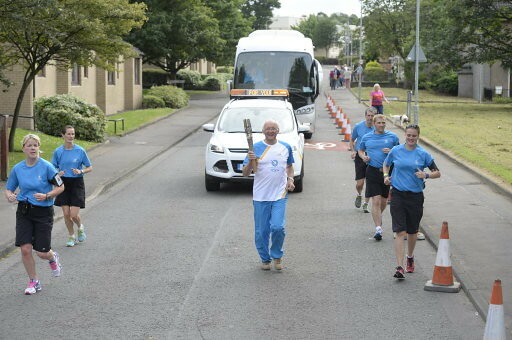 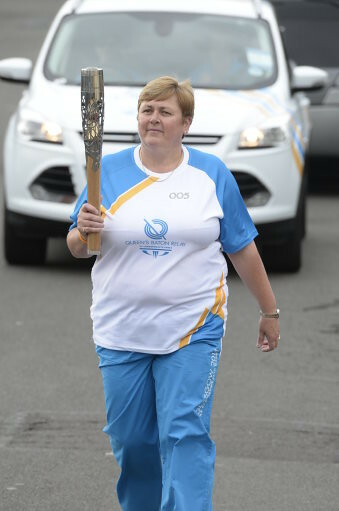 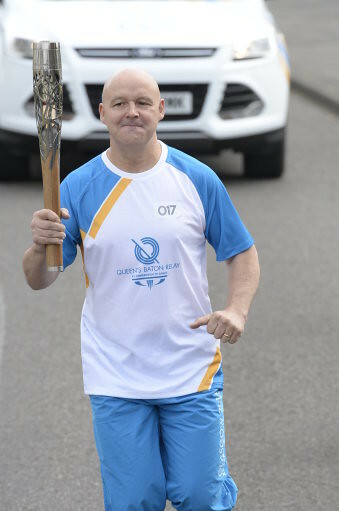 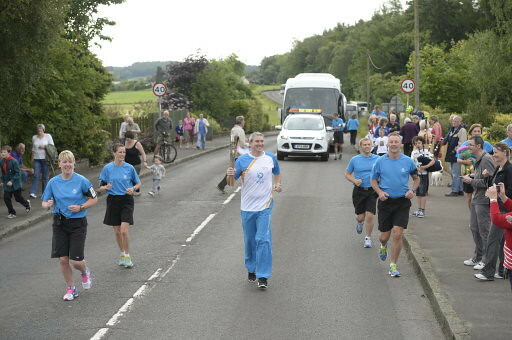 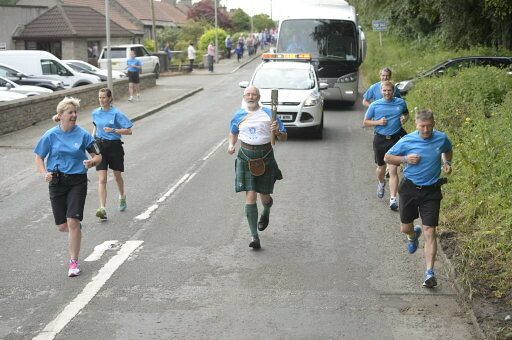 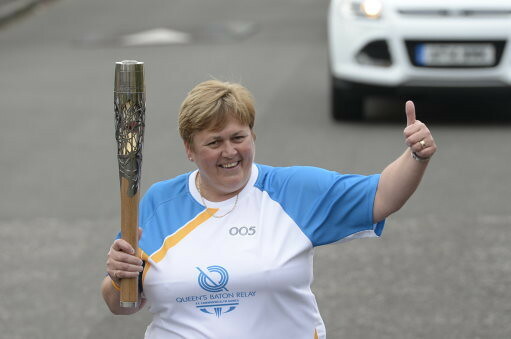 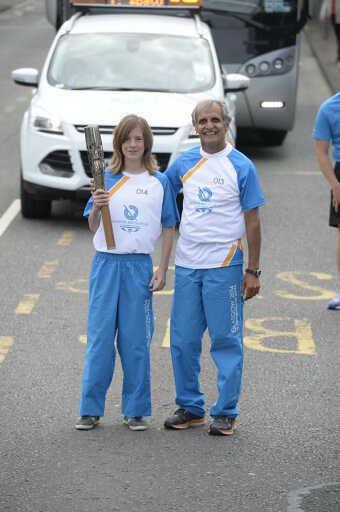 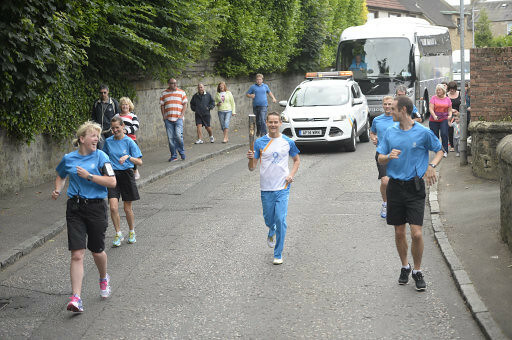 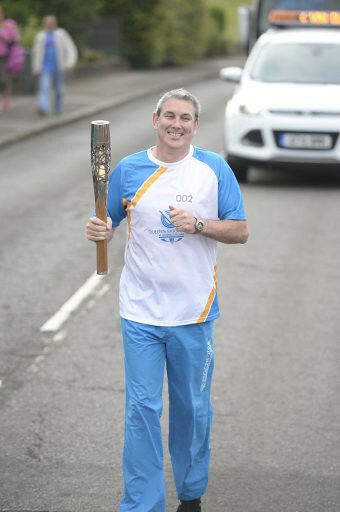 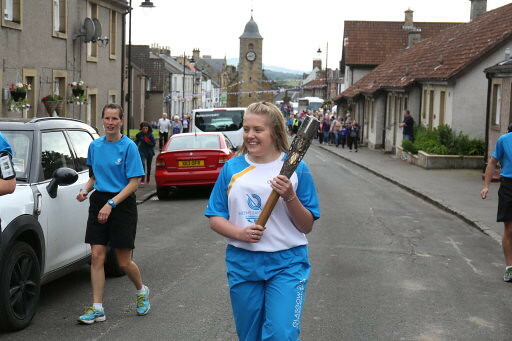 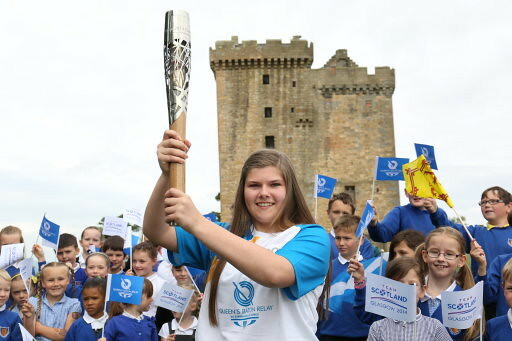 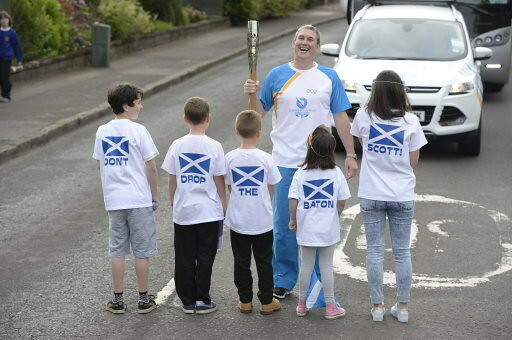 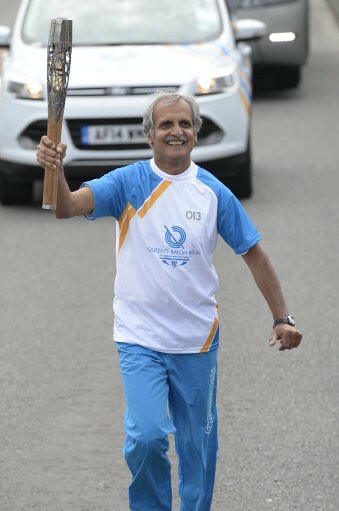 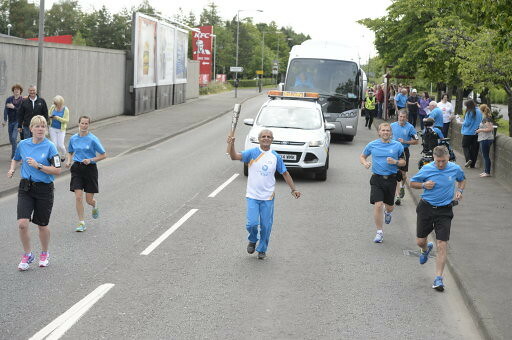 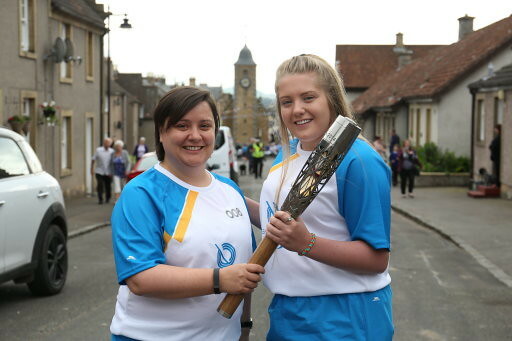 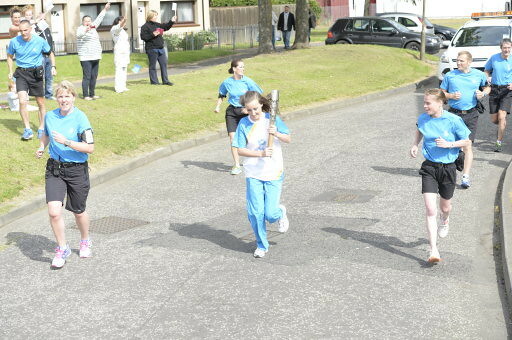 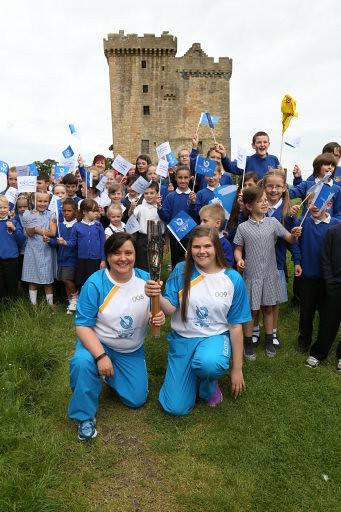 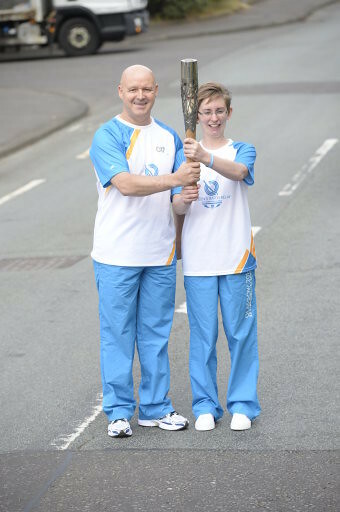 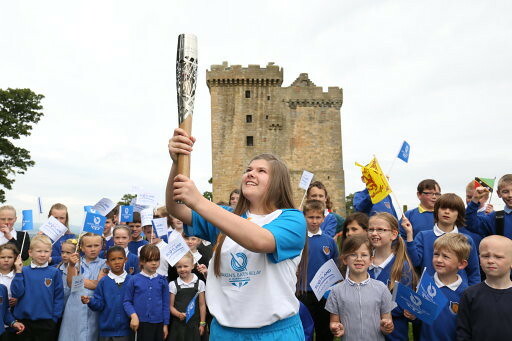 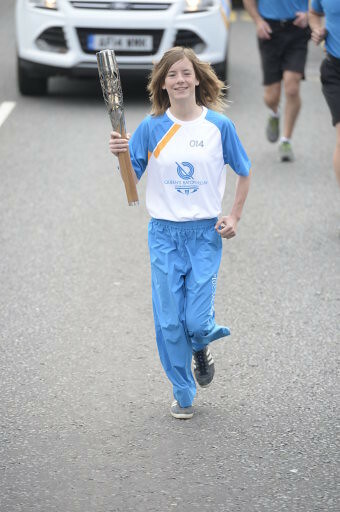 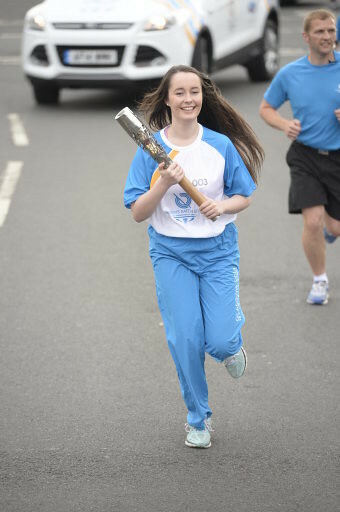 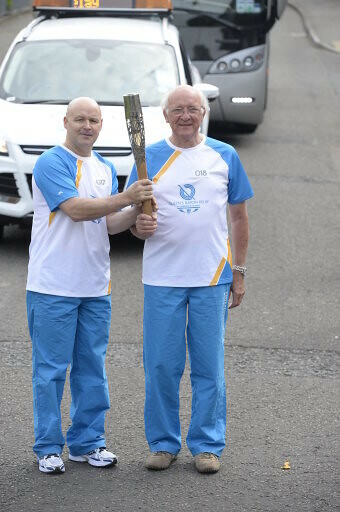 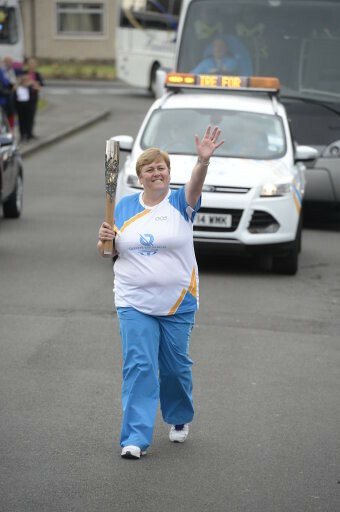 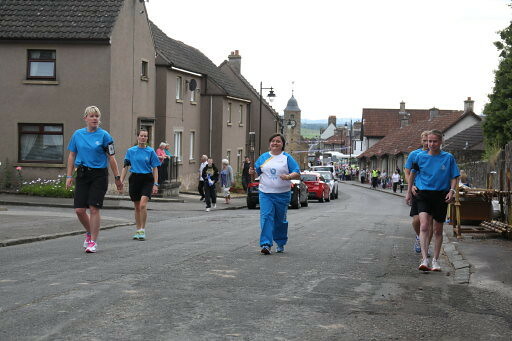 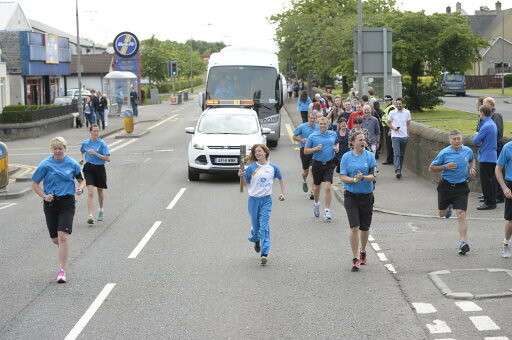 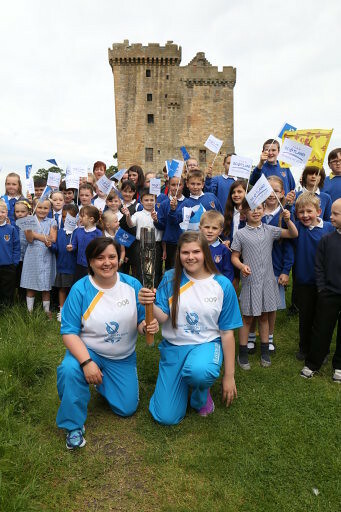 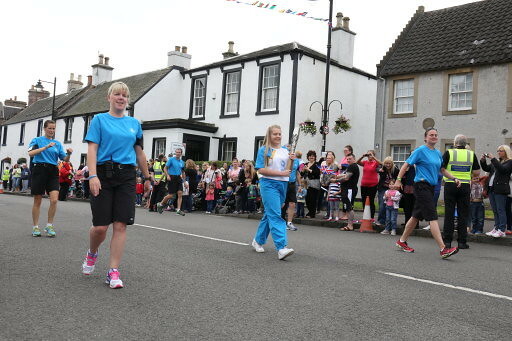 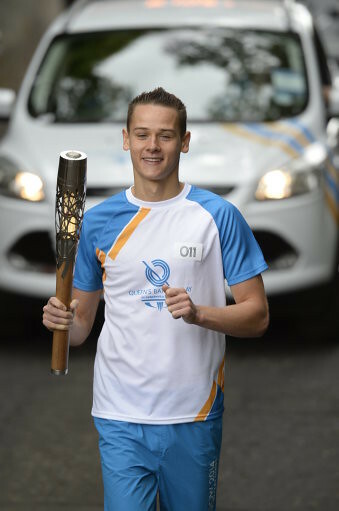 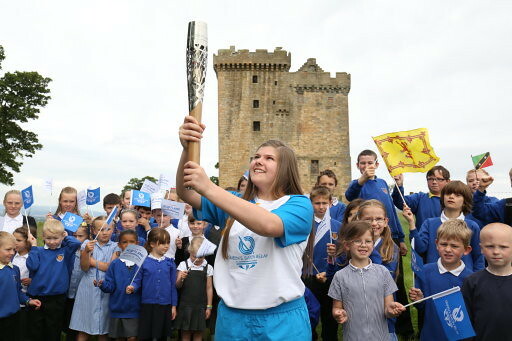 The Queen’s Baton Relay ventured all across Clackmannanshire’s 61 square miles, visiting several communities including Alloa, Sauchie, Dollar, Alva, Fishcross and Tullibody. 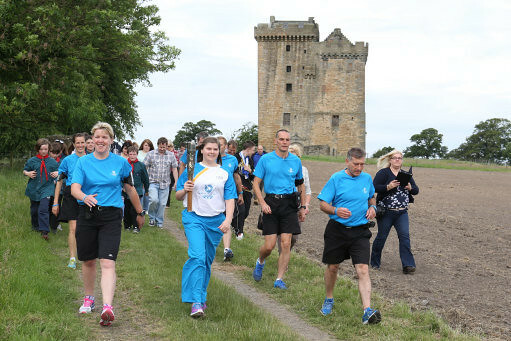 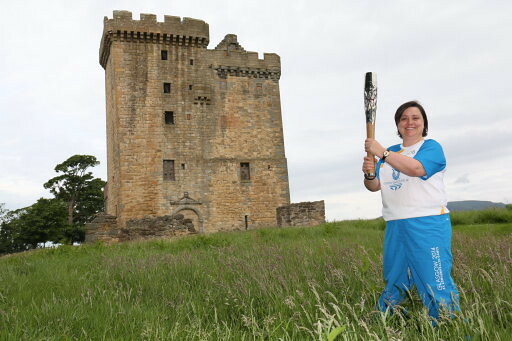 The day was filled with historic sites, with stops at Clackmannan Tower, Menstrie Castle and Castle Campbell in Dollar, where the baton travelled via quad bike. 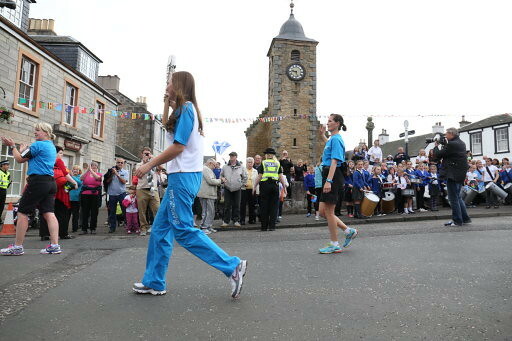 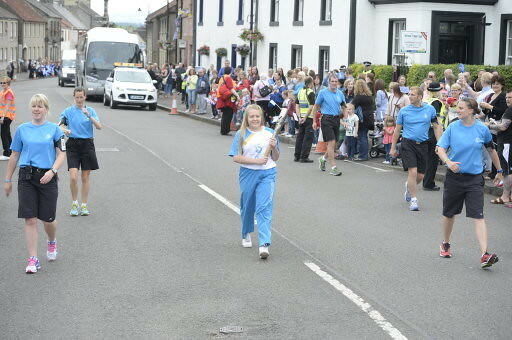 Despite its small size Clackmannanshire has always been a hot bed for youth sport development and this was reflected in the day’s batonbearers. 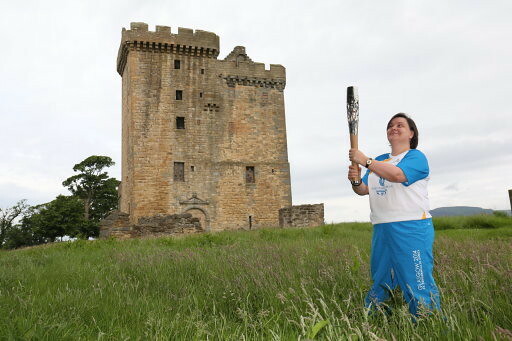 Morna Campbell is one such talent. 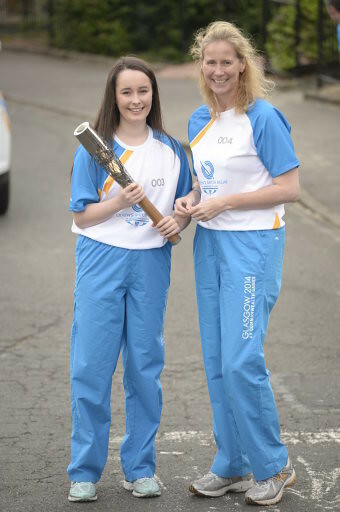 In an extremely short space of time Morna has achieved 18th at kayaking and eighth at canoe in GB rankings. 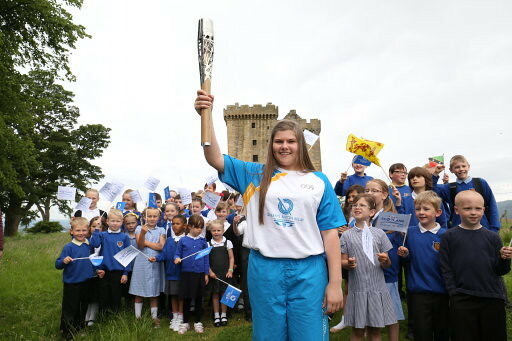 She spends lunchtimes working in the library in order to support younger pupils as well as running lunchtime dodgeball tournaments. 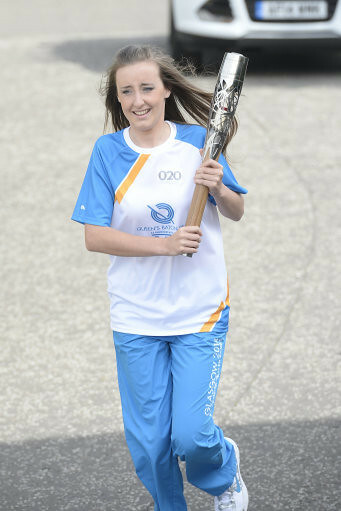 Following on from Morna was 19 year old Sammi Tasker. 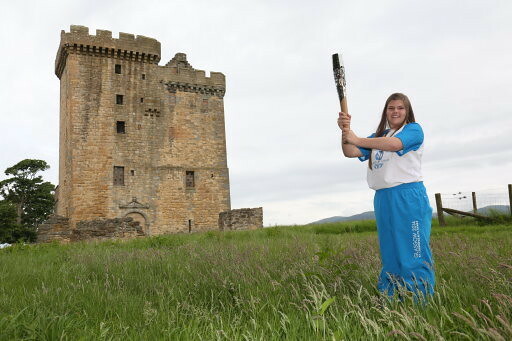 Sammi is the only female in Britain to feature in National Championships across three disciplines of motorcycle racing: moto-x, mini motos & road. 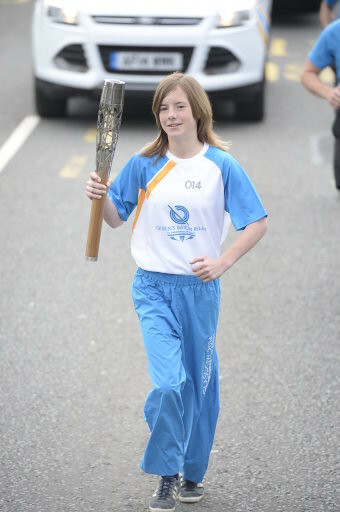 For other female riders she is a role model and mentor, and she actively encourages girls into racing, coaching and helping them in her own time. 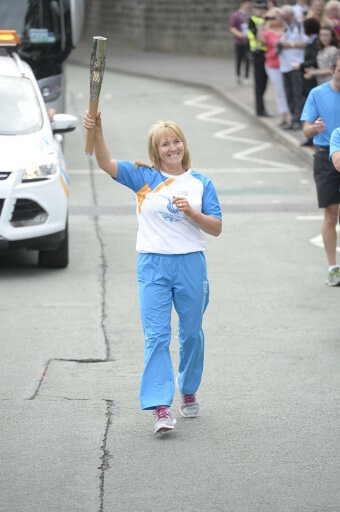 By completing parachute jumps in support of MacMillan Cancer Research, she has helped to raise over £250,000 with Brest Way Round. 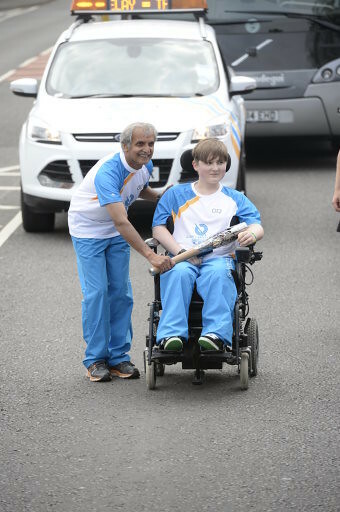 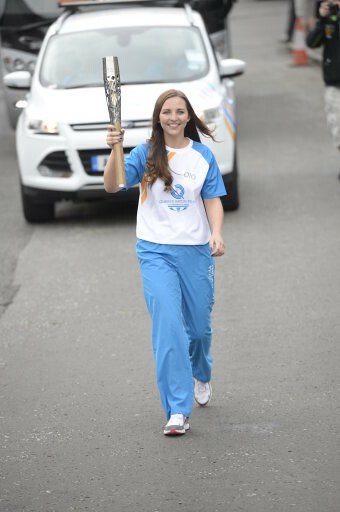 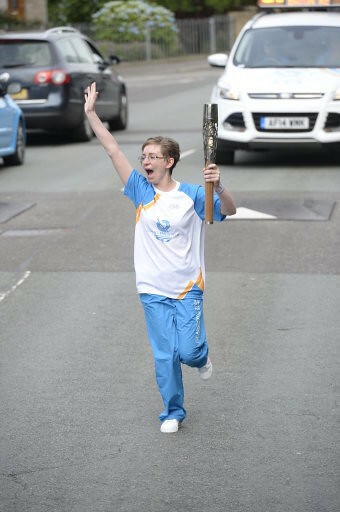 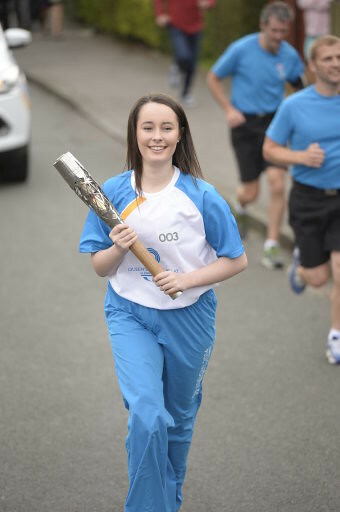 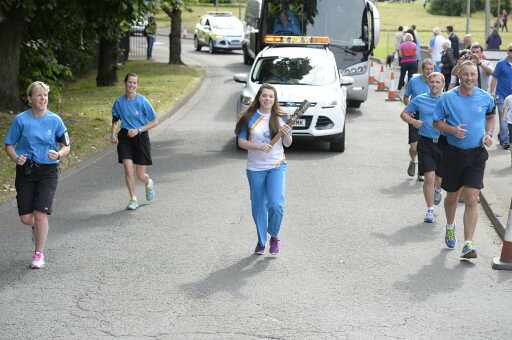 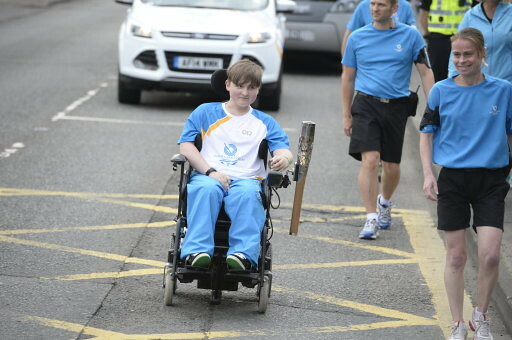 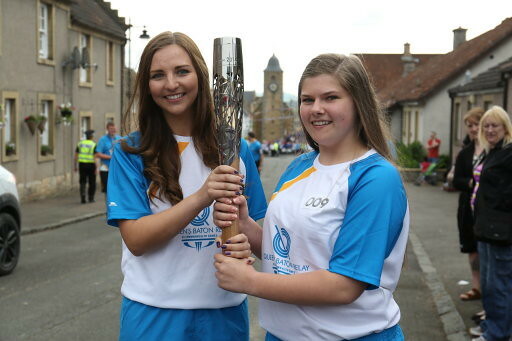 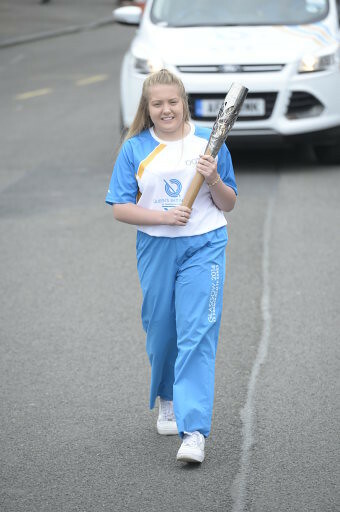 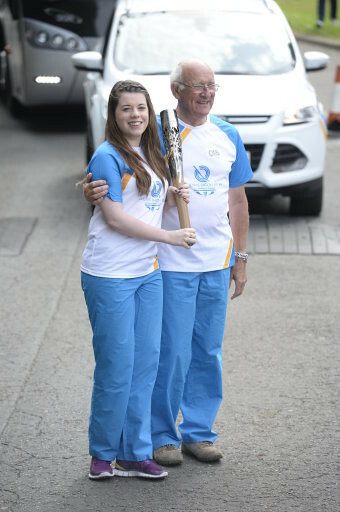 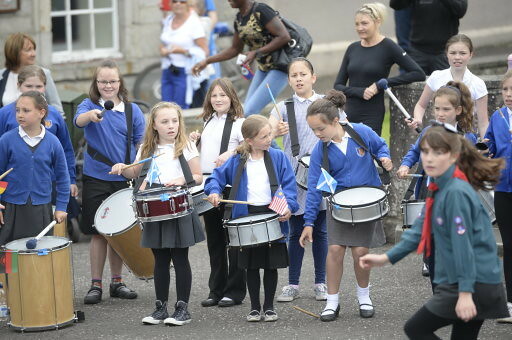 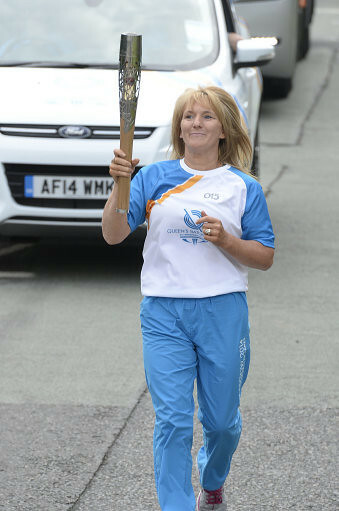 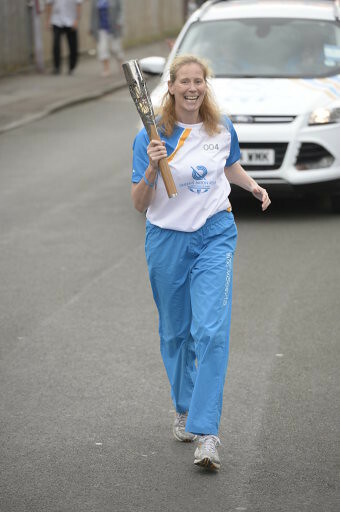 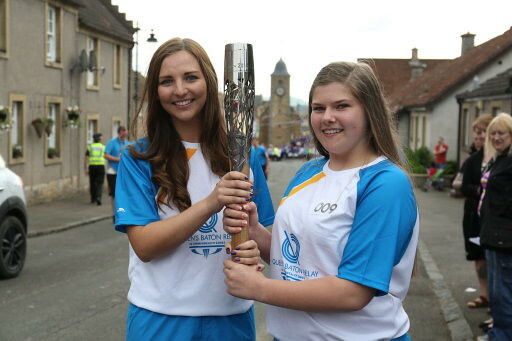 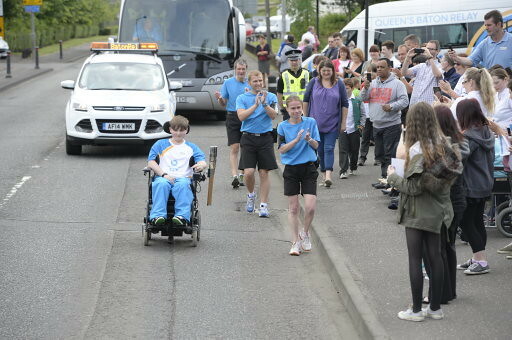 The final baton-bearer, Team Scotland wheelchair-racer Meggan Dawson-Farrell, brought the baton into the grounds of Lornshill Academy, Alloa and venue for the evening celebration which featured bands, dance groups and activities around the athletics track. 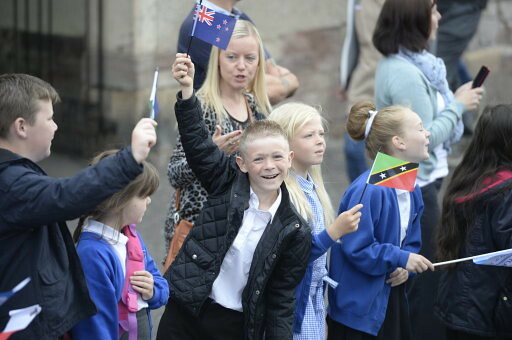 Julia was jointly nominated by Dollar Academy and the St Francis Small Home in Malindi, Kenya. 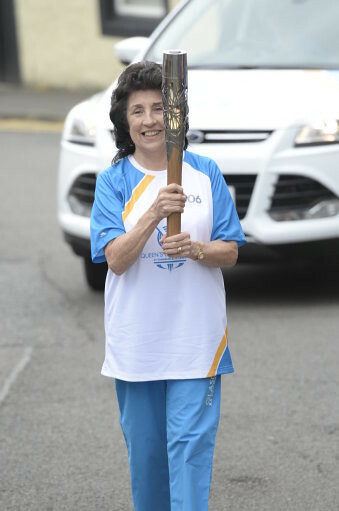 She will retire this summer after 37 years of nurturing the academic, social and emotional development of countless children, bringing warmth, common sense, intelligence and enthusiasm to all. 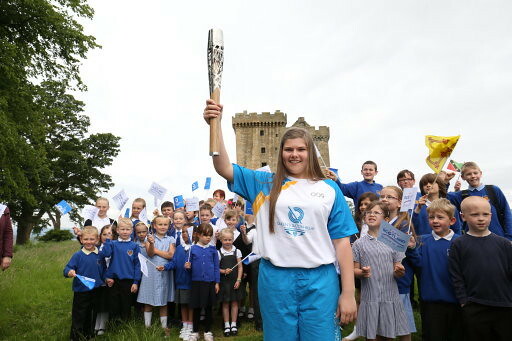 She has promoted inclusion and compassion for others, at school and through the Malindi Project, raising the massive sum of £67,000 for the charity and encouraging valuable teacher exchanges. 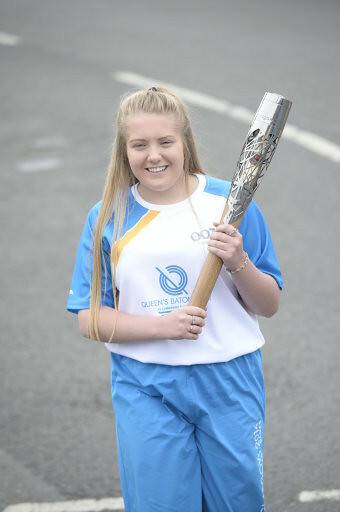 In an extremely short space of time Morna has achieved 18th at kayaking and eighth at canoe in GB rankings. 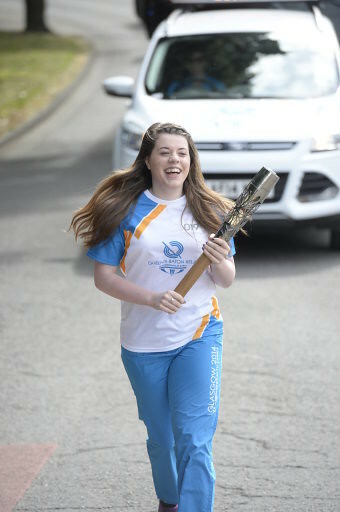 She spends lunchtimes working in the library in order to support younger pupils as well as running lunchtime dodgeball tournaments on a weekly basis along with other young ambassadors, while during the summer holidays she volunteers to teach younger paddlers water safety. 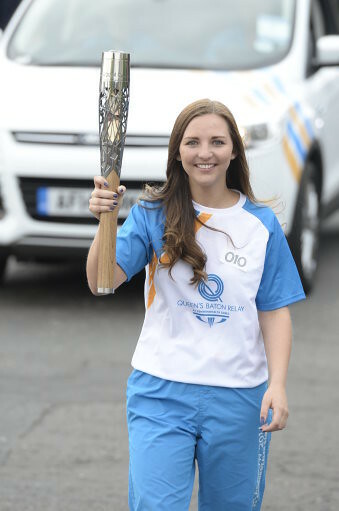 Hannah is heavily-involved in the Champions in Schools programme and helps to develop positive attitudes and healthy lifestyles. 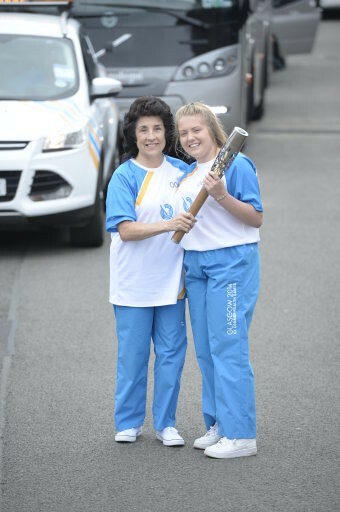 She willingly gives up her time to coach members of the Wee County Vaulters in the sport of equestrian vaulting, who range in age from seven to 20 years old. 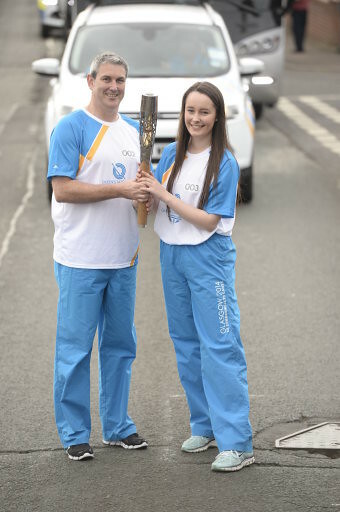 Hannah has also recently received a request to coach gymnastics at an after school club. 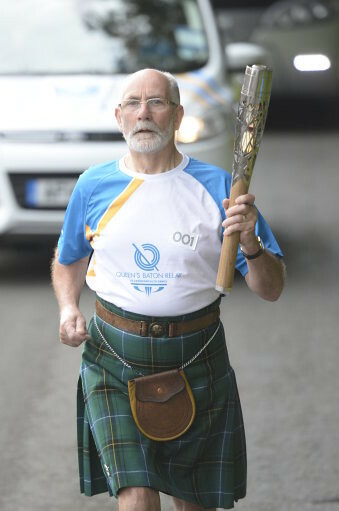 For almost 40 years John has been the volunteer treasurer of Alva Games, the last surviving traditional highland games and sports in the county. 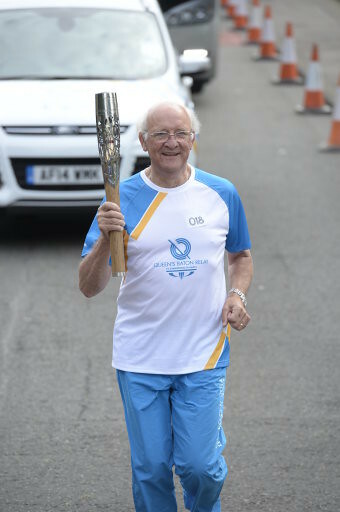 He has been treasurer for over 30 of those years. 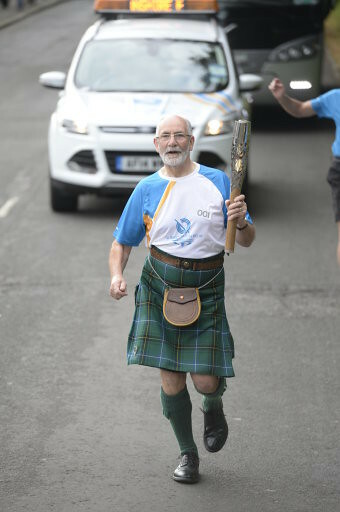 For almost all of his life he has been a keen supporter of Alloa Athletic FC and has written, edited and distributed the match day programme and is responsible for the upkeep of their website. 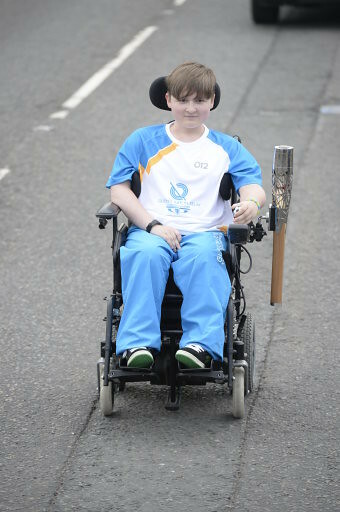 Niall played a major part in developing skiing within Clackmannanshire through voluntary work with youth groups, guides and scouts. 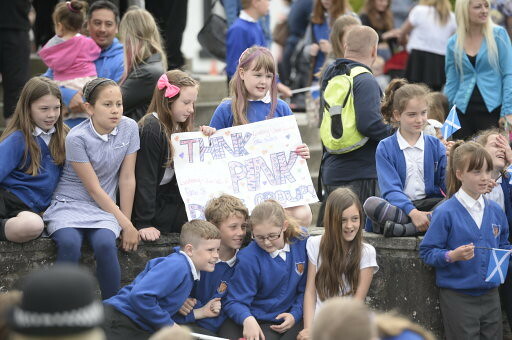 He introduced many youngsters to skiing, arranging buses to take them to Glenshee and Aviemore, prior to the local dry slope opening. 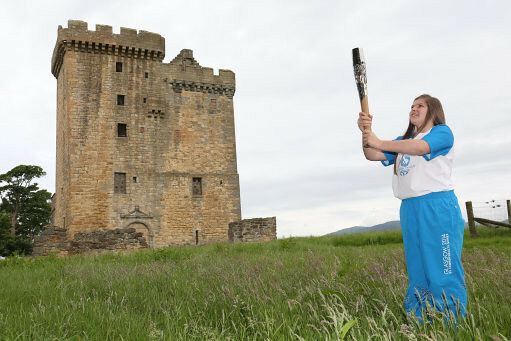 Sammi is the only female in Britain to feature in National Championships across three disciplines of motorcycle racing: moto-x, mini motos & road. 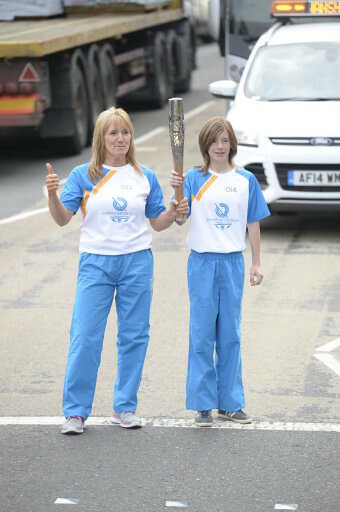 For other female riders she is a role model and mentor, and she actively encourages girls into racing, coaching and helping them in her own time. 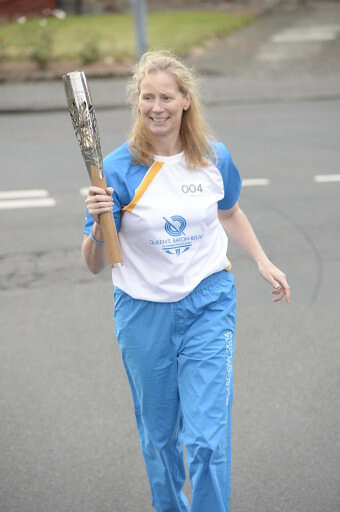 By completing parachute jumps in support of MacMillan Cancer Research, she has helped to raise over £250,000 with Brest Way Round.